Despite his small size, this nephew of Darshaan is a serious stallion under both codes from his base at Alain Brandebourger's Haras des Chartreux. Last week, Daliapour produced yet another hurdle winner in England in Sendali, who was successful in a Class 3 contest at Catterick. The level of the race is unimportant, but this success from one of his first crop born in 2004 is symptomatic of his progeny: he produces numerous winners at all levels and under both codes. Daliapour is out of Gr 2 Prix de Royallieu scorer Dalara, a Doyoun half-sister to Darshaan and Darara who is the dam of Dar Re Mi. There is only one other member of this family standing at stud in France, Puit d'Or at the Haras de la Rousslière. He represents the same cross, being another son of Sadler's Wells and a sister of Darshaan. Daliapour winning the Gr 1 Hong Kong Vase in the colours of Robert Ng. Daliapour was an excellent racehorse. Unluckily, he came across the little-known Oath and then the well-known Montjeu in the Epsom and Irish Derbies, in which he finished runner-up. 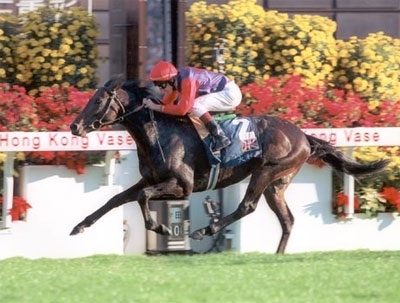 He finally won his Gr 1 at 4yo in the Coronation Cup then the Hong Kong Vase. He remained in Hong Kong where he was fortunately not castrated, but he did not flourish there and returned to Europe at 6yo to win another Gr 1. He is tough, but rather diminutive, and is advertised as 15.2 1/2 hh, with a good pair of shoes! 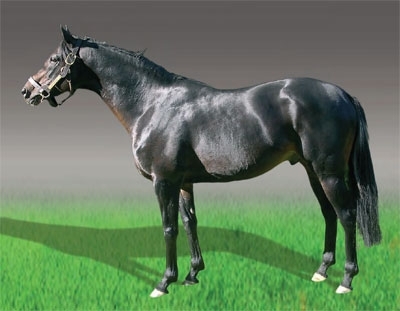 His size never prevented Daliapour from producing numerous winners. In 2009, France Sire's figures show him to have produced the winners or black-type placed horses in 34 different races, putting him in 33rd place alongside useful sires such as Network, Della Francesca or Fragrant Mix. He took two Pattern places thanks to Bassel on the flat and Peak Rythm over jumps. In 2008, his daughter La Grande Dame won the Gr 3 Prix Pierre de Lassus and finished a neck secon to the champion Questarabad in the Gr 1 Prix Renaud du Vivier hurdle.